One of the hardest things to find in interiors is a great quality wall-to-wall carpet that is cleanable and durable AND looks great. 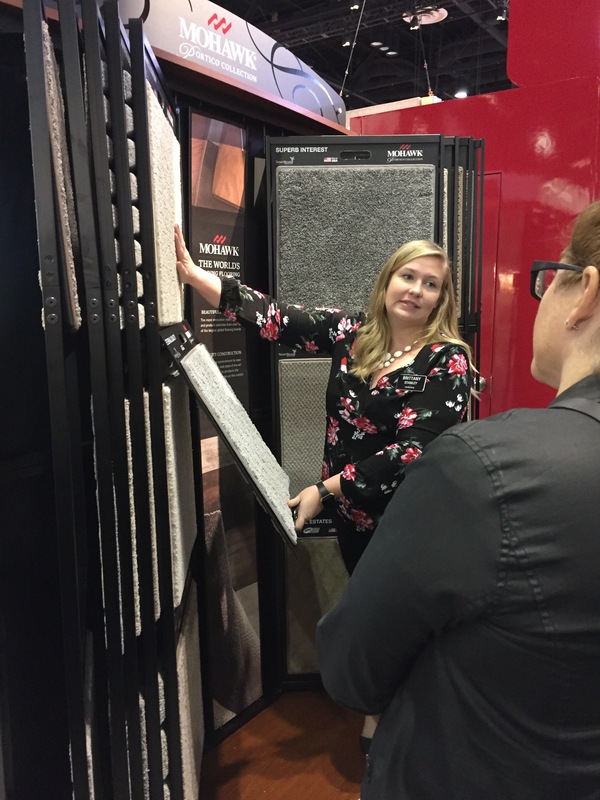 We were all very excited to be introduced to Mohawk Flooring‘s new SmartStrand Silk Reserve carpet. This carpet is so luxurious to the touch that you literally wanted to lie down on it. (Put a pin in that notion… ). But, in addition to being incredibly luxurious to the touch, is how durable and cleanable it is. Brands often go to great lengths to showcase their products, but sometimes, just showing off the goods is all it takes. 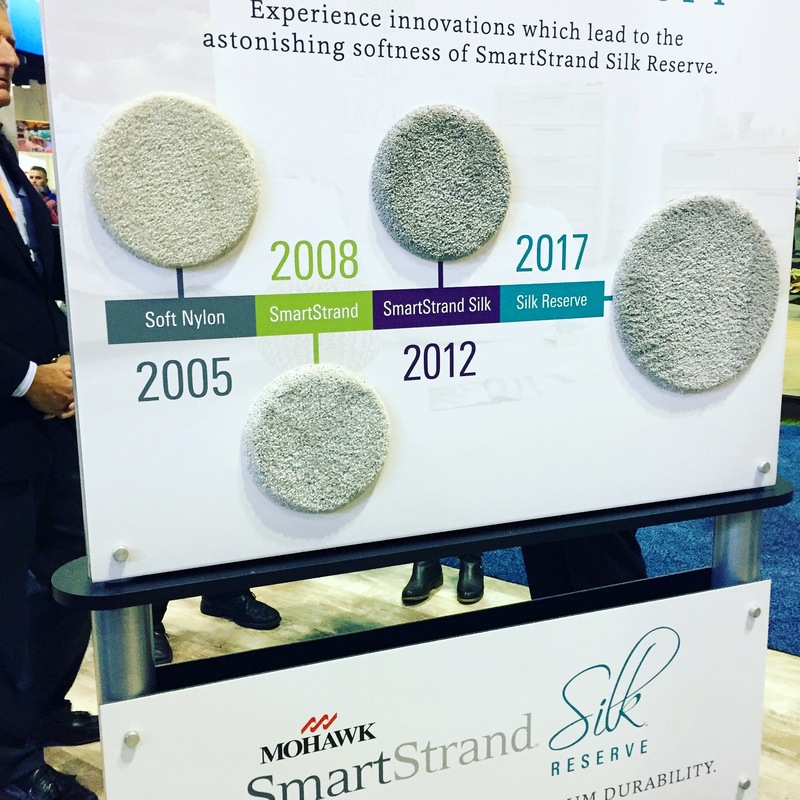 This display showed the evolution of Mohawk’s carpeting over the last decade-and-a-half. It’s all about the feel baby. 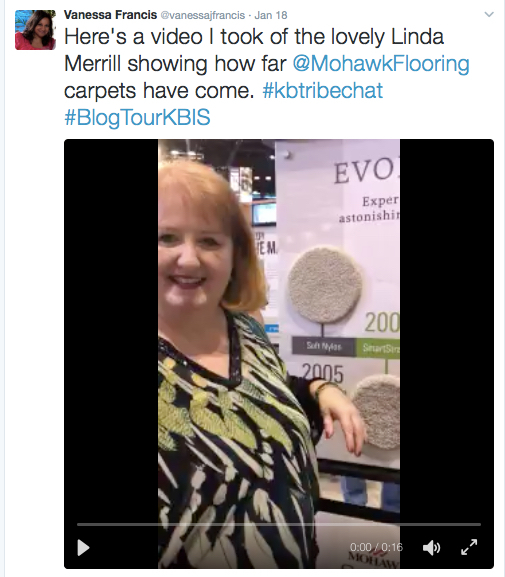 Here’s a little video I did, though, I can’t figure out how to embed the video into this post, but here is a video on Twitter shot by my co- BlogTour mate Vanessa Francis discussing the Evolution of Mohawk’s carpeting. And, in this video, you will see how they tested the carpet – at a zoo. We saw a sample of the pre-cleaned and post cleaned carpets, and it’s truly amazing. In other Mohawk news, I was in love with their latest laminate offerings. 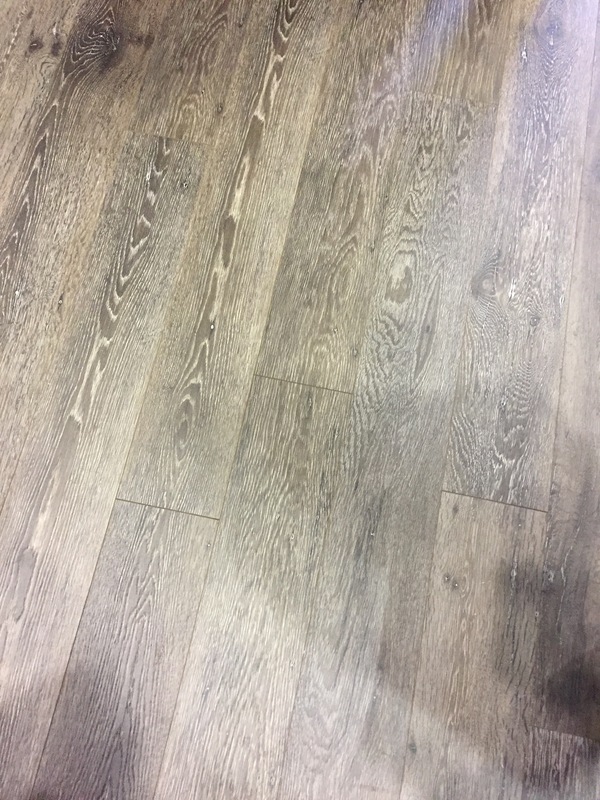 Perfect for basement, bathrooms or a front hall where the look of natural wood is desired but not in the budget or is perhaps very likely to get wet, this is a great option. 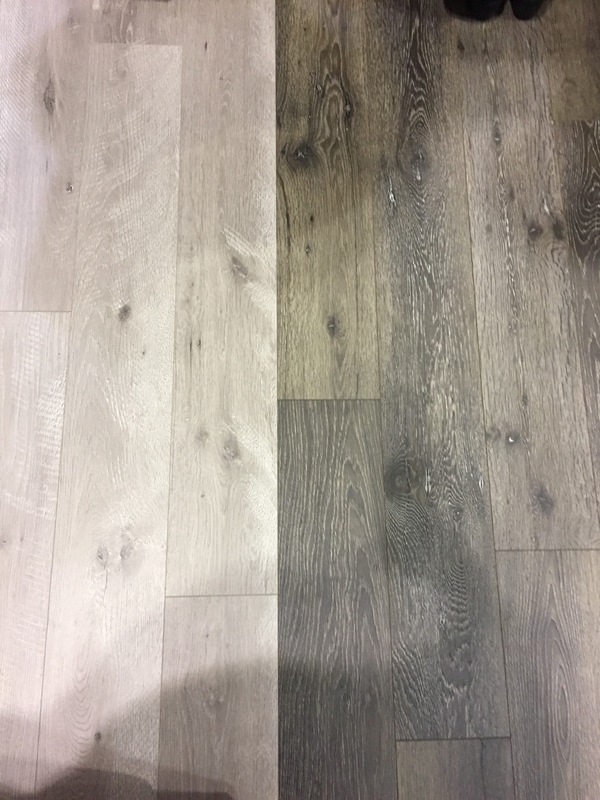 Their newest offerings feature weathered wood looks which are so popular right now. After a few days of travel and walking the show floor, there is nothing like the opportunity to kick off one’s shoes and feel nothing but comfort underfoot. We were treated to a very fun Barefoot & Bellini’s cocktail event hosted by Mohawk. They took over a small event room at the Ritz Carlton in Orlando and swathed the floors with their SmartStrand Silk Reserve carpet, the walls were draped and the masseuses stood at the read. With Bellini in hand, we were ready for some relaxation. Those are my tired by happy tootsies enjoying the carpeting underfoot. And yes, there was rolling around right on the carpet. I’m not sure where I was when this was happening – maybe getting my hands massaged… Fun times! A heartfelt thank you to the folks at Mohawk for being a sponsor of #BlogTourKBIS and to Modenus, the power behind BlogTour for inviting me to participate! My participation was sponsored in part by Mohawk. The products featured here are of my own choosing and my opinions are my own. All photos by Linda Merrill for Surroundings, except where noted.